Instead of using chicken, shred turkey and add with broth and rice milk. This creamy pot pie goes great with the crispy crust, make your own or get a ready made one that works with your allergies. Heat pan, add olive oil and heat another minute. Add chicken and peas. Add water to cover and boil for 15 minutes. Remove from heat, drain and set aside. In the saucepan over medium heat, cook onions in butter until soft and translucent. Stir in GF flour, salt, pepper, and celery seed. Slowly stir in chicken broth and milk. Simmer over medium-low heat until thick. Remove from heat and set aside. Use spare dough pieces to decorate the top of your pie. I made leaves to match the season. Place in food processor and add butter, pulse until the mixture resembles clumps about the size of small peas. Add cold water, a tablespoon at a time, distributing the water evenly throughout the whole of the mixture by pulsing after each tablespoon. When the mixture sticks together, but is not doughy, place in a large ziplock bag and form into a ball. Flatten ball to a disc and refrigerate for 30 minutes. Cut bag on 3 sides and sprinkle allergen free flour on dough, recover. Roll under plastic bag until the dough is of sufficient size to fit into a 9 inch pie pan. Line the pie pan with dough, a glass pan works best, use spare pieces to fill in missing/cracked areas. Bake at 425°F for 10 - 15 minutes. Fill with a chicken filling. Makes one 9” pie crust. 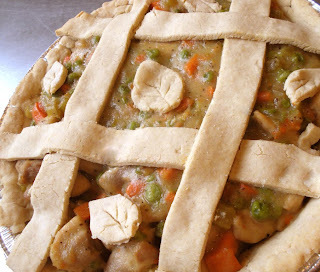 This can be frozen and used like a commercial pie crust if desired. Two days until Thanksgiving, and we got a special allergenista request for Green Bean Casserole, which was the 3rd most popular question asked to the Food Network about Thanksgiving! It’s going to take some time, but the results are well worth it if you are a fan of this dish. 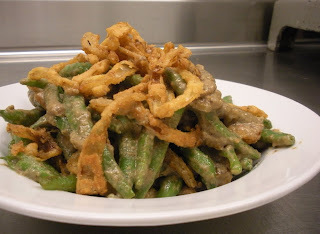 I have never had Green Bean Casserole, but I got lots of tasters sans allergies to let me know if I got it right. This dish will take several steps including, making the cream of mushroom soup, making the fried onions and finally assembling and finishing the final dish, let’s get started. Take sauce pan and heat over medium heat. Add oil and and heat another minute. Add onions to pan and cook slowly until soft and translucent. Next, you are going to add mushrooms, you may have to add in batches, if you put too many in at once you will steam the mushrooms instead of sautéing them. As you finish one batch of mushrooms, remove and add another until complete, season with Kosher salt and black pepper to taste. Once all mushrooms are cooked, add all back to the pan and add white wine to deglaze pan, cook until dry. Add olive oil and allergen free flour, whisk for 2 minutes. Slowly begin to add chicken stock and simmer for 20 minutes. Place soup in blender and blend until smooth. Set aside. Take onions and put in a bowl with rice milk and allow to soak for 1 hour. Mix together allergen free flour, thyme, salt and pepper. Take a large stock pot and fill with oil. Take onions out of rice milk and coat with flour mixture. Add to oil in small batches, large batches will lower the temperature of the oil too much and make the onion strings soggy. Remove strings from oil once they are golden brown, place on paper towel to drain, add additional salt/pepper if necessary. Take a large sauce pan and fill with water 2/3rds, bring to boil. Add green beans and cook for 2-3 minutes, until tender. Immediately, immerse beans in ice water to stop cooking process, remove and set aside. Take a large saute pan and heat over medium heat. Add oil and heat another minute and then add red onion. Cook onion until soft and translucent. Add green beans to pan and cook for two minutes. Add cream of mushroom soup and thoroughly incorporate, heating thru. Top with French fried onions and bake in oven for 10 minutes. I had the most difficult time with a pie crust free of the Big Bad 8 and gluten, the crust is very delicate and falls apart easily. So I decided to rethink this recipe and came up with pumpkin pie bites – they are fun to make and the kids can help. Consider them pumpkin pie amuse bouche! Sift all the dry ingredients together and place in a food processor. Add buttery spread in tablespoon amounts to food processor, pulse twice. Add cold water, a tablespoon at a time, distributing the water evenly throughout by pulsing after each tablespoon. When the mixture sticks together, but is not doughy, roll out onto a table or pie mat dusted with flour. Roll until the dough is about 1/8” thick. Use a cookie cutter to cut round bite sized shapes, makes about 20 discs. Set disks aside to cool. Mix pumpkin, sugar, salt, cinnamon, ginger and milk together in a saucepan. In a separate bowl, mix together corn starch and water until smooth. Add cornstarch slurry to pumpkin mixture and bring to boil. Reduce heat and simmer for 10 minutes, set aside to cool. Take pie crust bites and assemble on a plate. Use a pastry bag to put pumpkin on discs or use a spoon if necessary. 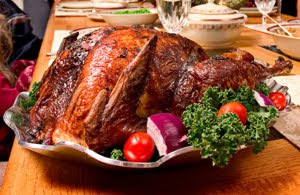 The main attraction – the turkey! This year I brined the turkey; this makes the bird juicy and extra flavorful, definitely worth the extra effort. There are only a few days until Thanksgiving, so I will keep the recipes coming, next up: green bean casserole, a request from a fellow allergenista. I never had this dish pre-allergens, so you will really have to let me know if I get it right! Mix together ingredients in brine and add turkey to mixture. Remove turkey from brine and dry thoroughly. Mix together olive oil, rosemary, thyme, Kosher salt and black pepper. Rub mixture all over bird and under skin. Use butcher’s twine to tie the legs closely to the rest of the bird. Place turkey in roasting pan on roasting rack breast side down and cook for one hour uncovered. Flip bird after one hour, season with Kosher salt and black pepper and continue cooking until internal temperature reaches 185°F in the thigh of the bird or 165°F in the breast. You will want to baste the bird with the juices in the bottom of the pan every hour or so. If skin is getting too dark, cover bird loosely with aluminum foil. Let turkey rest 10 minutes before cutting to retain juices. Six days and counting until the big day! No compromising for us allergenistas this Thanksgiving, keep checking in, I plan to post holiday recipes every couple of days up until the big day! All FREE of the Big Bad 8 Allergens and gluten. These fries are great to nibble on while the turkey is roasting. The chili powder adds just the right amount of kick, kids and adults love these alike! On a baking sheet, combine squash with olive oil, cumin and chili powder; season with salt and pepper. Toss to coat, and spread squash in a single layer. Roast until fork-tender, 45 minutes to 1 hour. Sprinkle with lime juice and cilantro. If mashed potatoes and gravy aren’t your thing, this alternate is a wonderful option and uses the best fall vegetables. Preheat oven to 475°F (245°C). 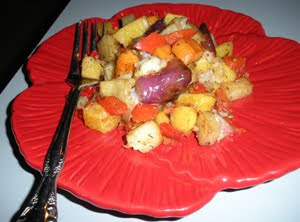 In a large bowl, combine the squash, red bell peppers, sweet potato, and Yukon Gold potatoes. Separate the red onion quarters into pieces, and add them to the mixture. In a small bowl, stir together thyme, rosemary, extra-virgin olive oil, vinegar, Kosher salt, and ground black pepper. 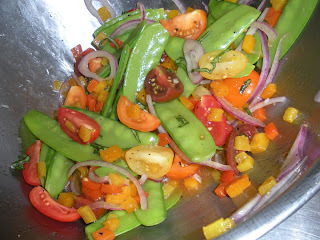 Toss with vegetables until they are coated. Spread evenly on a large roasting pan. Roast for 35 to 40 minutes, stirring every 10 minutes, or until vegetables are cooked through and browned. Combine flour, sugar, baking soda, nutmeg, cinnamon and allspice in a large bowl. 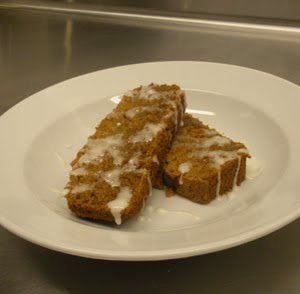 In a separate bowl, mix liquid ingredients and spices, pumpkin, canola oil, applesauce and water. Add liquid ingredients to dry ingredients and mix thoroughly. Pour dough in pan and cook for 50-60 minutes. Test with a toothpick to make sure center is cooked. In a separate bowl, mix apple juice and powdered sugar thoroughly, pour over slices as you serve. 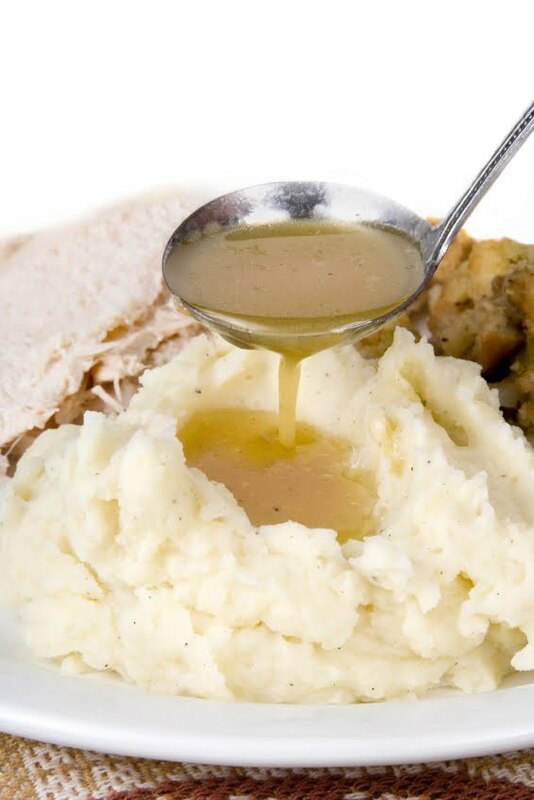 Traditional mashed potatoes and gravy, no Thanksgiving table would be complete with out them. I updated the mashed potato recipe from last year since finding the wonderful, Earth Balance natural buttery spread soy free. It makes the potatoes more creamy and fluffy, something I am particularly thankful for! 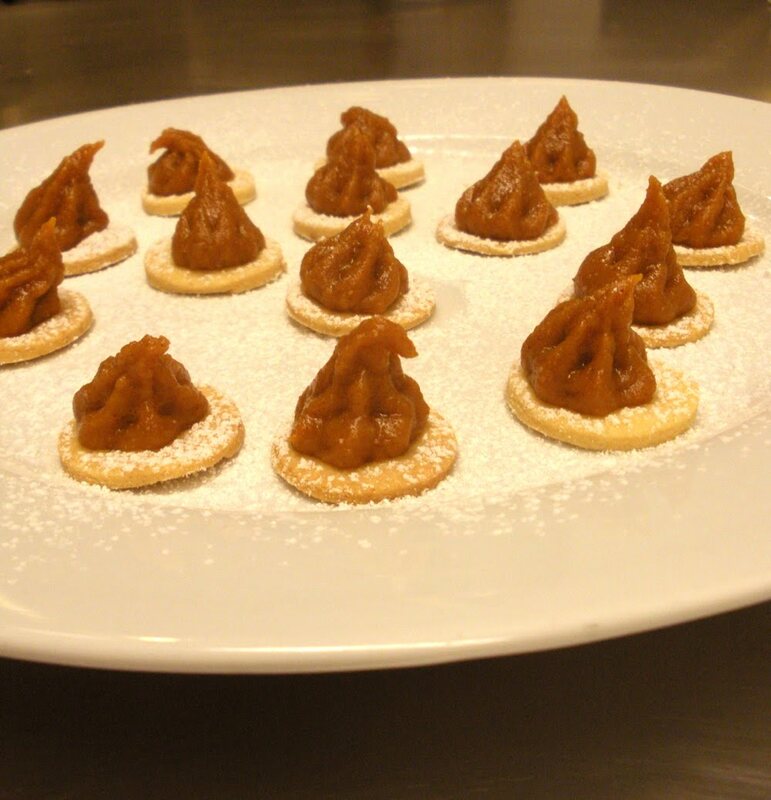 Next up, desserts… all free of the Big Bad 8 allergens and gluten. Add potatoes to a cool pot of water. Bring water to boil and add a tablespoon of Kosher salt to water. 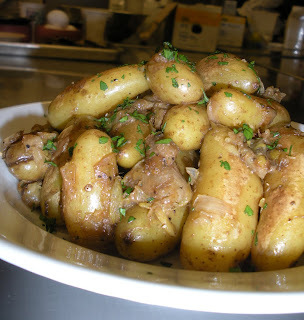 Cook potatoes until knife tender. Strain potatoes and put thru rice mill if you have one, otherwise use a masher. 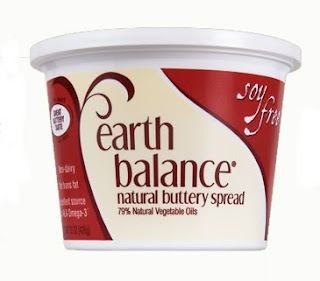 Add Earth Balance spread and Rice Milk, blend into potatoes, making sure not to over mix as potatoes will become gluey. Heat 2 tablespoons canola oil or pan drippings in a medium saute pan over a medium high flame. Add carrot and celery and saute until nicely browned. Stir in flour and remaining oil/drippings and cook, stirring constantly for about 5 minutes. Using a whisk to continue stirring, slowly add broth. Bring mixture to a boil and then reduce heat and add seasonings. Simmer gravy for 20 minutes, stirring occasionally. Strain vegetables and seasonings out of gravy. Of course, all are free of the Big Bad 8 allergens and gluten! Who needs them, anyway? Let me know if you have a special family recipe you would like to see modified, my kitchen is filled with Thanksgiving ingredients and I am up for the challenge! Mix together parsley, sage, rosemary, celery seed, Kosher salt, black pepper, onion powder and sage, set aside. Saute the sausage in a large saute pan over medium-high heat until cooked through, crumbling coarsely, about 10 minutes. Using a slotted spoon, transfer the sausage and drippings to a large bowl. Add olive oil in the same skillet over medium-high heat. Add the leeks, apples, celery and seasoning mix to the pan and saute until the celery is soft. Mix in the cranberries and saute another minute. Add the mixture to the sausage, then mix in the GF croutons and parsley. Next add the chicken stock a little at a time until the stuffing is very moist, but not mushy and season with salt and pepper. Bake in a 9x13-inch rectangular casserole dish and place, uncovered, in the oven for 20 - 30 minutes, until the top is crispy and the center piping hot. Use turkey drippings to top if available. 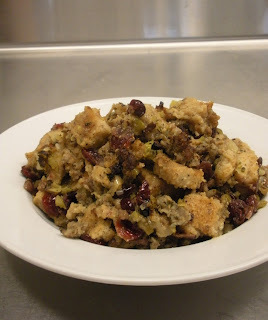 To make croutons: Defrost bread (if necessary) in oven, cut off crusts and cut into small squares. Be careful not to brown bread. 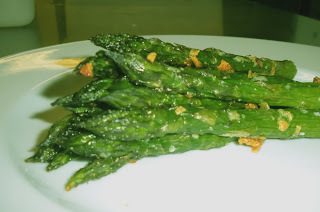 I saw asparagus on sale at Stanley's (North and Elston in Chicago) and I really love this dish, I know it's not in season, but if you can find good asparagus, it will be a hit! Blanch and Shock Asparagus (immerse asparagus in boiling water until tender, remove and immediately place in ice water to stop cooking). Toss asparagus with oil and garlic; season with salt and pepper. Roast on a large baking sheet until tender and browned in spots, 10-12 minutes. Serve warm. Need some new ideas for this holiday season or need an allergen free adaptation to a family favorite? Keep posted allergenistas, the next few posts will be dedicated to helping you have the best Thanksgiving holiday yet! Can’t wait for the next post? Saturday, November 14th come see me make butternut squash soup, mashed potatoes, gravy and stuffing, all free of the Big Bad 8 Allergens and Gluten at Whole Foods Market – Hinsdale, IL. (click here for more details). Until then enjoy these great sides. Add potatoes to a boiling pot of water and cook until soft, set aside. Take a sauté pan and place leeks in pan, fill with water about 1/2” deep. Cook on medium until water has evaporated. Leeks will be cooked by the time the water is gone, but keep adding water (about 1/8th a cup) and continue to simmer, stirring occasionally until leeks are creamy and caramelized, you may need to add water several times. Once leeks are caramelized, set aside. Over medium heat, place a sauté pan and heat for one minute. Add potatoes, salt and pepper and cook until heated thru. Mix in caramelized leeks and cook another minute. I found some lovely heirloom cherry tomatoes on sale for this picture, regular cherry tomatoes work just as well. Bring sauce pan 2/3rds full with water to boil. Add peapods and cook for 3 minutes. Remove from pan and immediately immerse in ice water. Lightly dry peapods with paper towel and place in bowl. Add cherry tomatoes, onion and peppers, set aside. In another bowl, whisk together champagne vinegar, olive oil, honey, garlic, Kosher salt and black pepper. Add dressing to salad and toss lightly. Enjoy! 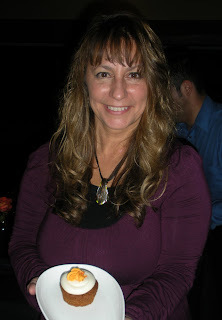 Recently, I attended the Food Allergy Initiative’s 2nd annual Chicago benefit with Betsy Thompson of Gluten Free Betsy. The event raised more than $1 million that will help support research for a food allergy cure. The Food Allergy Initiative (FAI) is a non-profit organization that is now the largest source of funding for food allergy research in the United States. FAI's patronage is facilitating a number of groundbreaking, research projects. Northwestern University's Paul Bryce, for instance, is spearheading an experimental therapy study that will help determine the success of a vaccine in preventing food allergies as well as minimizing symptoms for those who have already been diagnosed. At New York's Mount Sinai's School of Medicine, Drs. Xiu-Min Li and Hugh Sampson are developing a therapy that's been designed to prevent life-threatening reactions to half the "Big 8" food allergens: peanut, treenut, shellfish and fish. These are just a handful of the extraordinary research projects that the FAI has sponsored since it was founded in 1998. To learn more details about the organization's research and partnerships that are helping forge a path to an allergen-free future, please click here . One of the more heartwarming moments of the night was a sequence of videos that helped illuminate how parents are coping with their children's severe reactions to food allergens. FAI has uploaded several inspiring videos on its YouTube channel. I have included the video from the event, I encourage you to show it to people so they can understand what food allergies mean on an everyday basis. Through the Safe & Sound dinners I am glad to support FAI's efforts with a silent auction item and a monetary donation. I can't say enough good things about the extraordinary work FAI is doing on behalf of the estimated 12 million Americans with food allergies--and their friends and family members who are also affected by the condition. FAI's headquarters are in New York and it has recently established outlets in Chicago and the Pacific Northwest. Please consider volunteering or making a donation. But most importantly, spread the word! Chicago's allergenistas were treated to a remarkable feast last night at the season finale of the Safe & Sound Dinner series. BOKA's red-hot chef--Giuseppe Tentori--was on top of his game, offering an ambitious, allergen-free creation that left the group's members dazzled and inspired. How does he do it? 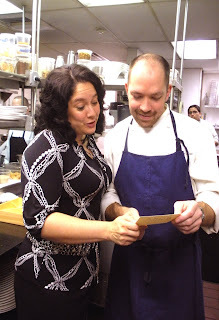 Over the summer, I had the good fortune to work with Chef Tentori at the Museum of Science and Industry and later spent an evening in his kitchen--listening, watching and learning. Chef Tentori's protocol to reduce the risk of cross-contamination goes above and beyond those of other restaurant kitchens I've observed. Indeed, his staff's attention to detail is what makes BOKA so exceptional. 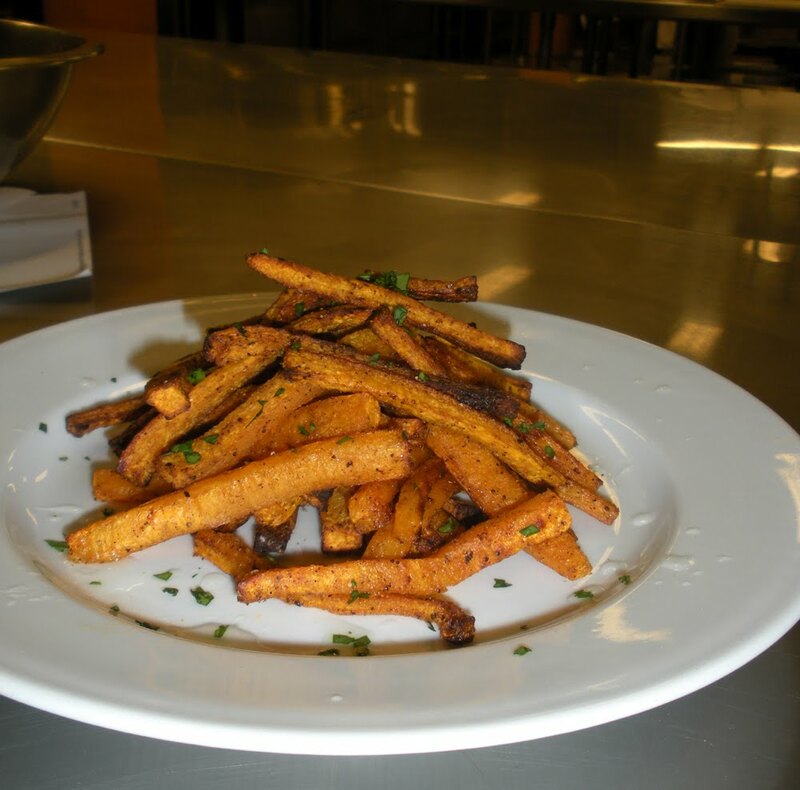 When an allergen-free meal is ordered, a booming announcement is made to the kitchen to prepare for a customized dish. Almost immediately, one chef assumes full responsibility for that particular plate and oversees its evolution from start to finish. Unlike other chefs dedicated to the highest standards in allergen-free cuisine, Chef Tentori wasn't personally impacted by food allergies. Instead, his philosophy is to ensure that each and every customer is afforded the opportunity to experience the pleasure of fine dining. · Angus tenderloin with braised short ribs, napa cabbage and bacon roll with smoked white runner beans. Then for dessert, Swirlz cupcakes--drizzled with Pam Rose's signature frosting. 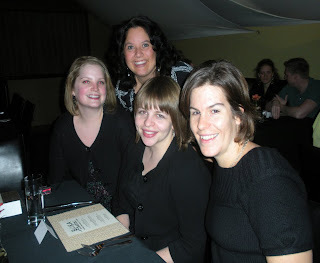 This was our last Safe & Sound dinner series in 2009. It’s time to roll up my sleeves and prepare for 2010. If you have any suggestions, I'd love to hear from you. Together, we can make the city Safe & Sound one bite at a time! Next up: Holiday dining, recipes to wow your friends and family!